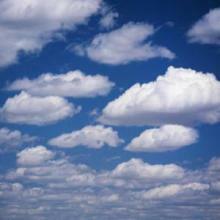 How much of their infrastructures are your clients running in the cloud today? Do you see it growing? Most of our clients are running 100 percent of their infrastructure services through us. It is common … to start with one or two applications [such as] disaster recovery. … But over time, [they’ll] eventually migrate everything into our private cloud. Do you see even more of that happening coming down the road? Absolutely. We’re taking on larger institutional investors. … The theme with all of them, is they certainly rely on IT but they don’t want to be in the IT business. They’re looking for IT providers such as ourselves.